Mother's Day is celebrated in many parts of the world to honour mothers. 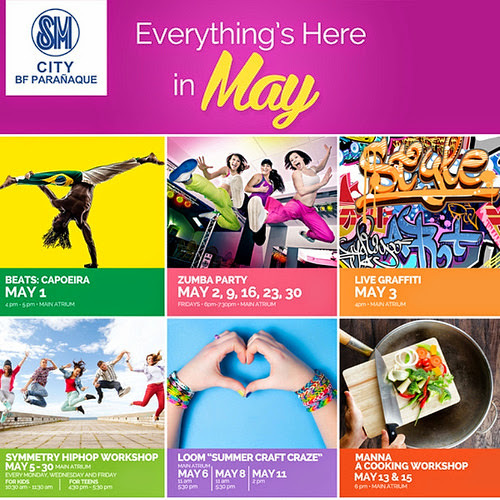 Shower your mother with love through Mother's Day activities this weekend and for the whole month of May at SM City BF Parañaque. Touch your mother's heart by treating her to these exciting activities. Bring a smile to her lips by acknowledging and returning the affection that guided you and gave you the wings to fly. 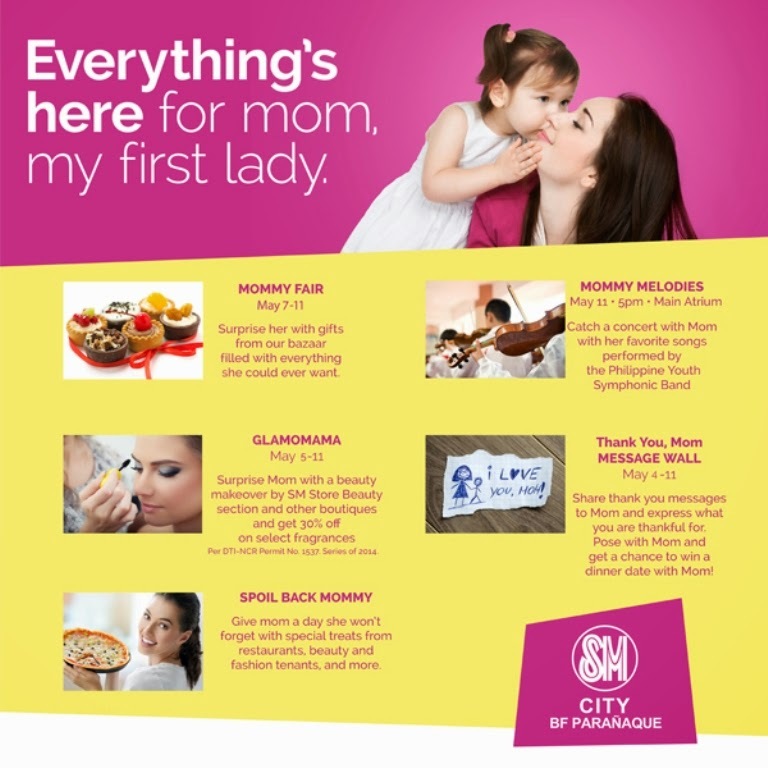 Be it a Mother's Day card, gifts or dinner to treat your Mom to, SM City BF Parañaque will be able to give Mom and your family a wonderful celebration!